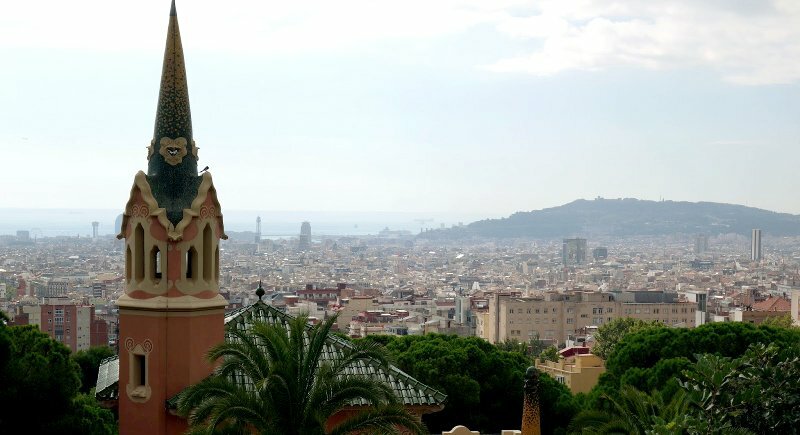 The views around the city of Spain are breathtaking and you’ll count yourself lucky to experience them. Seeing the sites by bicycle. 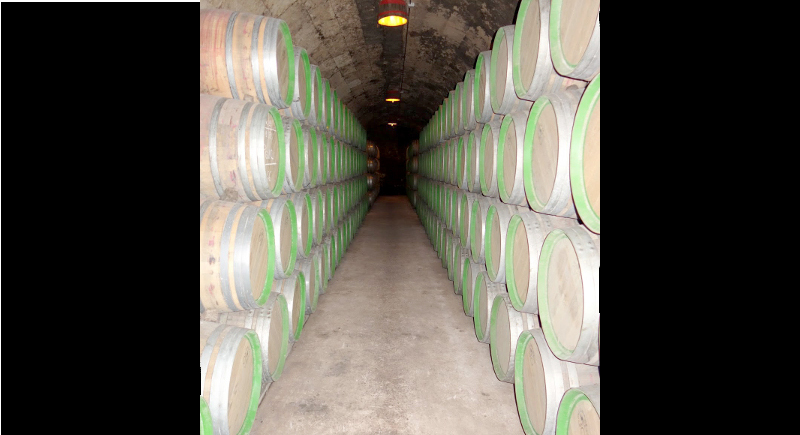 Exploring some of the finest wine cellars. Hotel right in the city centre, in the midst of the harvest festivities and lively street activities. Dinner was arranged for 8:30pm at Fondeluna restaurant, a five minutes walk from the hotel. 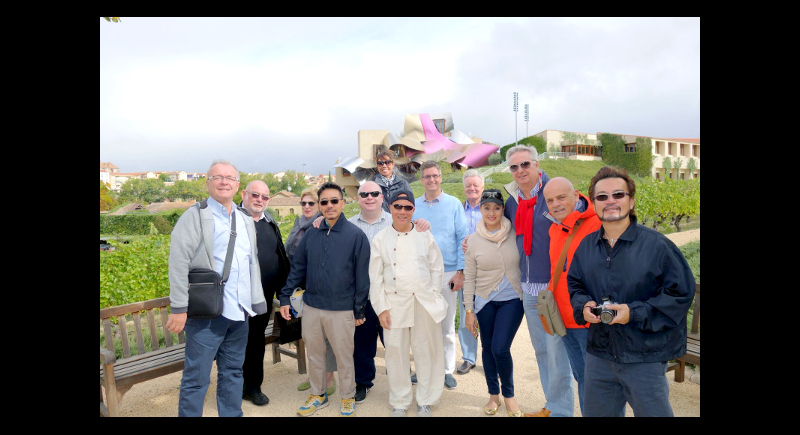 The next morning we travelled through the countryside and enjoyed a grand wine tour in the heart of the wine of City Rioja with the oldest of the cellars, Marqués de Riscal winery, dating back to 1858. This vast vineyard, with modern installations, preserves the special charm right back to its original time. The manifest of this gem, in a complex of 100,000 m2, offers you the chance to enjoy everything that wine and all that people in winemaking stand for, and in the best natural way. In a nutshell, it was a profound experience of the culture of wine and its essence. The exclusive lunch was served in the One-Michelin Star restaurant of the hotel Marques de Riscal, a small boutique style hotel, very modern and exclusive. Have you ever discovered the wealth, history and culture of wine? What has been in the past, what is present and what will be in the future are key, so a visit to the Vivanco Bodega, a foundation and museum dedicated by some family members in 2004, is a must when in the region. It is difficult to describe the complexity of the museum with all the different rooms, one has to see and experience this by themself. A tapas dinner was arranged for 9:30pm in La Tavina near the hotel. The time of eating in Spain is a change from other countries in Europe, as lunch is usually from 2pm – 3:30pm and dinner from around 9:00pm. Don’t think we did enough exersice during this week, but we definitely enjoyed plenty of good food and plenty of good wine, sometimes two bottles per head! We took lots of nice photos and tasted and consumed various labels. On Thursday, September 24 we checked out at 9am and travelled in our luxurious bus to the Ribera del Duero wine region. It took around two hours and 45 minutes. 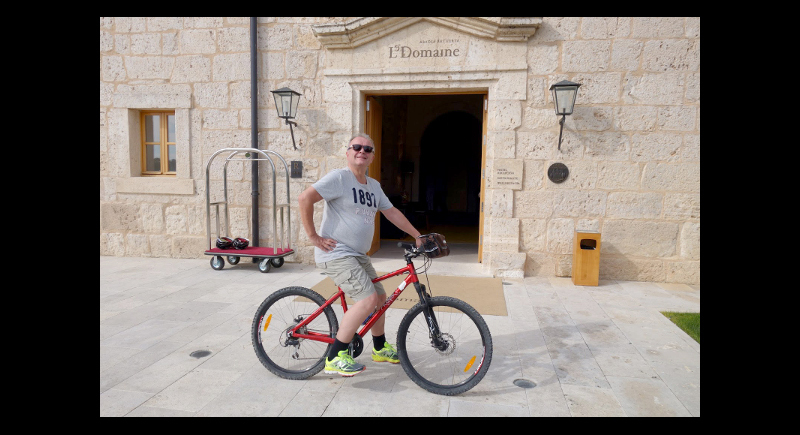 Then we checked in at the exclusive Relais & Chateaux Resort in the winery region of Abadia Retuerta Le Domaine in Sardon del Duero, located on the El Duero river banks. Late morning we took a tour of the winery, which, as usual, was inclusive of fabulous wine tasting. The 700 hectares of Abadia Retuerta are dotted with historical ruins, trees that are centuries old, gentle streams, a surprisingly gentle flora and fauna, and of course vineyards. You feel at the utmost relaxed and really let your senses come alive while enjoying an experience that will leave you speechless. Abadia Retuerta is a historic wine experience. Every wine lover should savour this at least once in his lifetime. The experience is set in a natural setting where Mother Nature lays us her serene beauty. The wine Pago Negralada was my favourite. Negralada wine comes from a plot of Tempranillo, the noblest Spanish grape. On September 25, some of us went for a good morning walk in the crispy 10 degrees air, while others went on a bike excursion near by the luxury L’Domaine. At 11am we were educated by some professional bird keepers on the behaviour of various Falcons and Hawks. At midday we drove to Valladolid and enjoyed a good lunch in a small calle, again enjoying plenty of wine and some heavy digestives from the region. Later that afternoon we visited the old town of Aranda del Duero and went to the Don Carlos underground wine cellar where we were educated by a professional wine expert on how to taste and analyse the different characteristics of the wine. Don’t ask how we climbed up the narrow and steep cellar steps! On our last morning at Le Domaine we found ourselves thinking of moments when we were spellbound, silent and unable to find the words to describe our feelings. Later we drove to Madrid and checked in at hotel Las Letras, a member of Iberostar which is centrally located on Grand Via. The farewell dinner was held at a Two-Michelin Star restaurant, El Club Allard. The head chef of the team of 50 kitchen brigade is Maria from Havana. I recommend making a table reservation if you are in Madrid as you might find it difficult to get a seat. Alas it was time to say goodbye. But one shall not cry when the beautiful moments in these array of vineyards are over, but instead smile that we shall meet again for another exclusive/excellent organised trip, maybe New Zealand or South Africa, or perhaps even Argentina and Chile. There are many places on this beautiful planet earth which give us the opportunity to taste some impeccable wine. Thank you to the Andaman Wine Club for including me on this memorable trip and also a very special appreciation goes to Bart for arranging everything so perfectly.